[S170] Inglis Stuart, Mayflower ancestry of Elizabeth Ely Goodrich. Grace Upson Goodrich was born on September 4, 1864 at Hartford, Connecticut .1 She married Daniel Anson Markham on November 26, 1889 at Hartford, Hartford, Connecticut, United States .1 Grace Upson Goodrich died ?unknown. Annie Warburton Goodrich was born on February 6, 1866 at New Brunswick, New Jersey, United States .1 She died ?unknown. John Butler Goodrich was born on August 20, 1871 at Hartford, Connecticut .1 He married Marion Hudson on July 4, 1911.1 John Butler Goodrich died. Samuel Griswold Goodrich was born on December 13, 1873 at New York, New York .1 He married Marguerite Kew on December 27, 1921 at Norwich, Vermont, United States .1 Samuel Griswold Goodrich died ?unknown. Katharine Chauncey Goodrich was born on June 27, 1876 at Stamford, Connecticut .1 She married Martin William Gaston Hawks on January 2, 1909 at New York, New York .1 Katharine Chauncey Goodrich died ?unknown. [S382] Find A Grave, online www.findagrave.com. Dudleigh Smith was born on April 21, 1858 at Woodbury, Litchfield, Connecticut, United States .1 He married Mary E. Smith on April 5, 1883 at Woodbury, Litchfield, Connecticut, United States .1 Dudleigh Smith died ?unknown. Marion Eldridge was born on July 12, 1865 at Calcutta, India .1 She died ?unknown. Howard St. George Eldridge was born on May 6, 1880 at Dresden, Germany .1 He married Jessie Harris Cushing on July 14, 1923 at Westboro, Massachusetts .1 Howard St. George Eldridge died ?unknown. Col. Etienne St. George was born circa 1830.1 He married Alice Lee Goodrich, daughter of Samuel Griswold Goodrich and Mary Booth, in August, 1891.1 Col. Etienne St. George died ?unknown. [S476] James Hardy Ropes and Alice Lowell marriage record. [S466] New York Times, Feb. 5, 1927. [S495] Unknown author, Boston Globe. 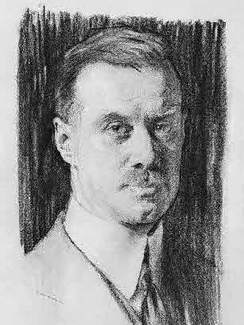 Frederick Eldridge Lowell was born on March 30, 1874 at Boston, Massachusetts, United States .1 He married Isabel Pelham Shaw on April 30, 1903 at Boston, Suffolk, Massachusetts, United States .1 Frederick Eldridge Lowell died ?unknown.